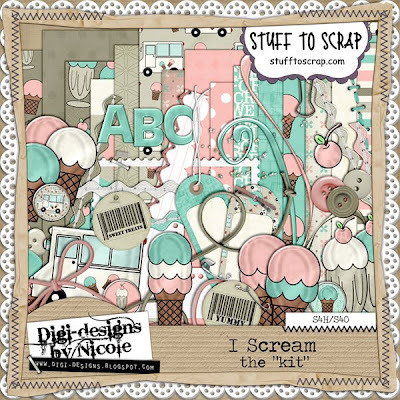 This week Scraps 'N Pieces are putting in two of their scout kits for $2 Tuesday - Be Prepared (girl scout kit) and Do A Good Turn Daily (cub scout kit) along with the QP pack. 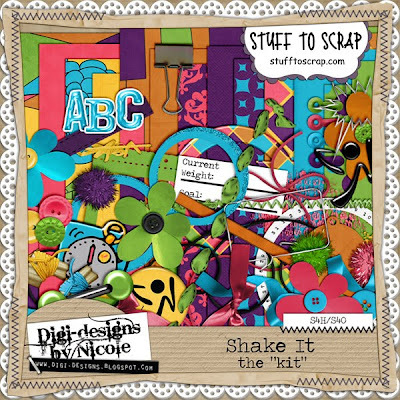 AmyDane Designs has two fantastic kits and a Quick Page pack in the bin! Go HERE to find the $2.00 bargains at STS! 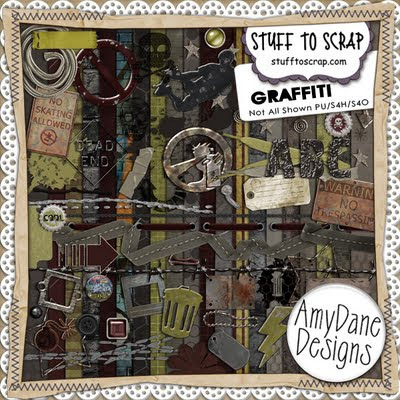 One of their biggest sellers, Graffiti, is on sale for only $2.00 and since this kit is a MEGA KIT this is an amazing deal! Teen grunge is the best way to describe this very masculine kit. But of course there are a few flowers so you can create hip girl layouts as well. 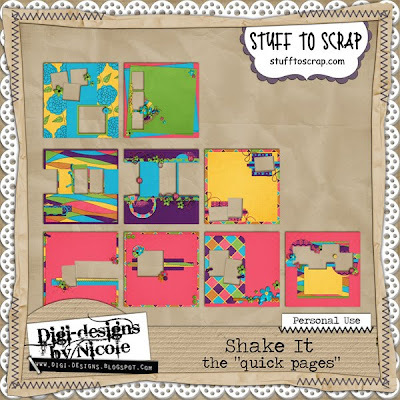 The Graffiti Quick Page pack is just as big as the kit itself! 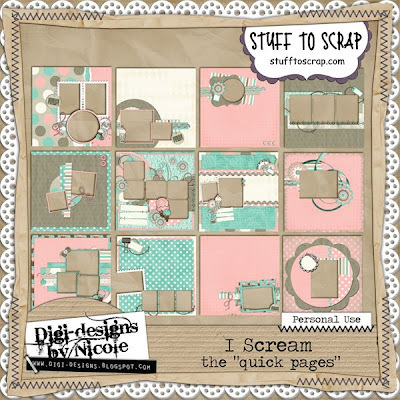 There are 13 different 12x12 quick pages! 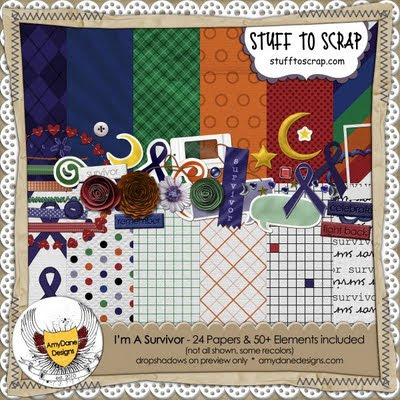 I Am A Survivor is an amazing Cancer Fighting/Relay for Life kit. But with these bright colors you can create pages for birthdays and everyday celebrations as well! 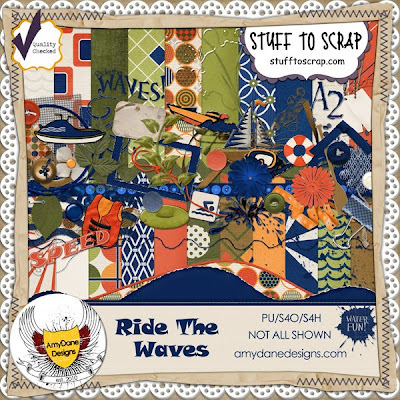 Oh and one more thing...back in May, AmyDane Designs made a few parts for the BAK at Stuff to Scrap - water sports themed. They've now packaged it up in a full-size kit called Ride the Waves, and it's on sale for $2.50 this week.